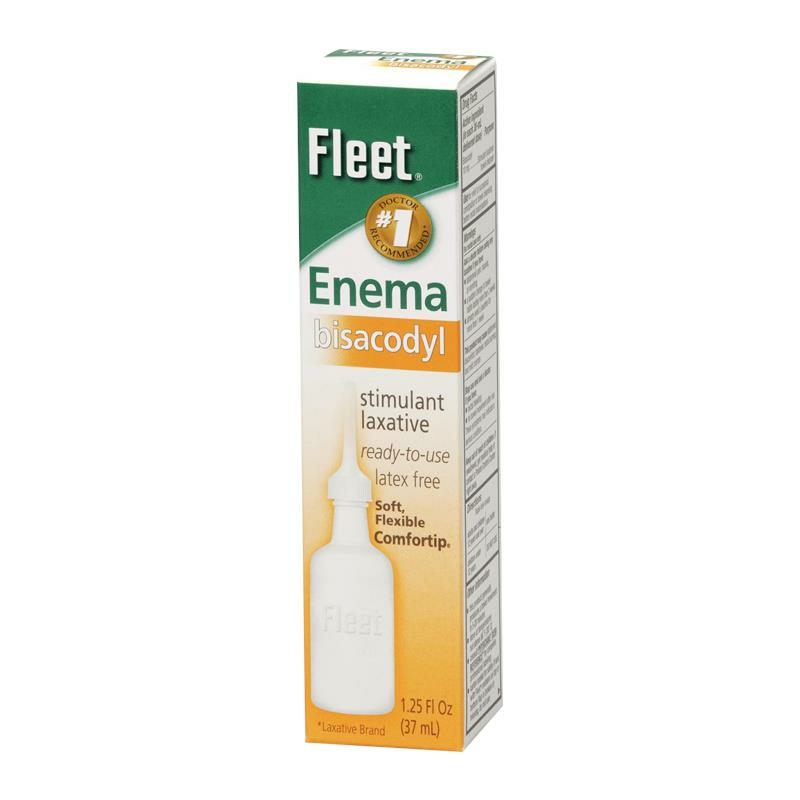 Fleet Bisacodyl Enema provides fast relief from occasional constipation. Bisacodyl is the active ingredient that directly stimulates the intestine to increase rhythmic action that pushes feces through the bowl. It generally produces a bowel movement within five to 20 minutes.